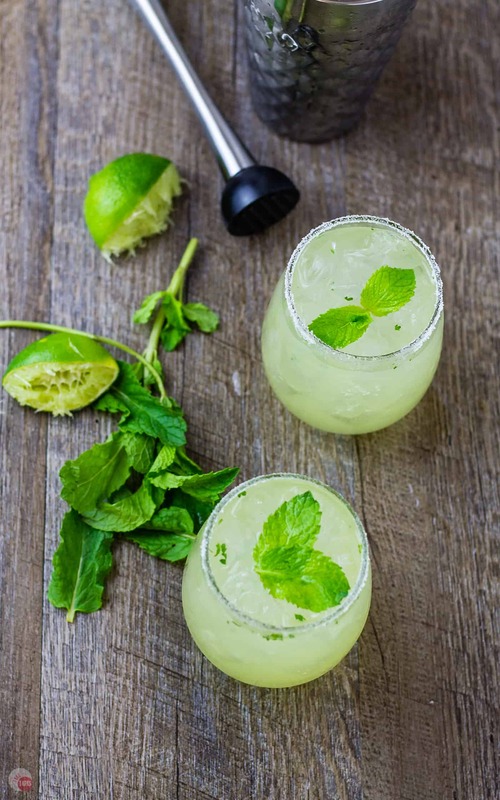 Mariachi Mash - A Lemon Lime Cocktail For the Weekend! Tequila pairs perfectly with lime but have you ever added lemon? 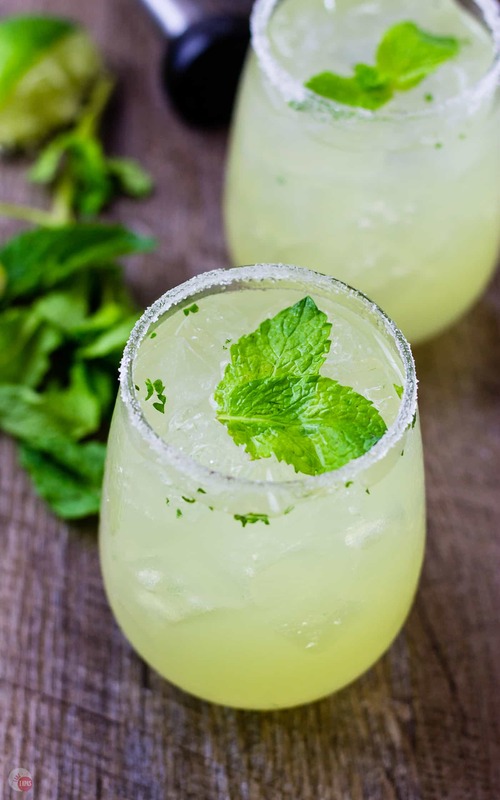 My Mariachi Mash Cocktail is a delightful blend of tequila and limoncello topped off with a hint of mint! I know it is a day late but definitely not a dollar short! It’s Saturday and I am kicking off the weekend with a Mariachi Mash cocktail that is perfect for sitting by the pool. Want to celebrate too? Let’s get started! Tequila has a natural counterpart with lime but have you ever tried tequila with lemon? I hadn’t before yesterday and I think I am totally in love. You will be too once you try my Mariachi Mash Cocktail! Where did I come up with the name Mariachi Mash? 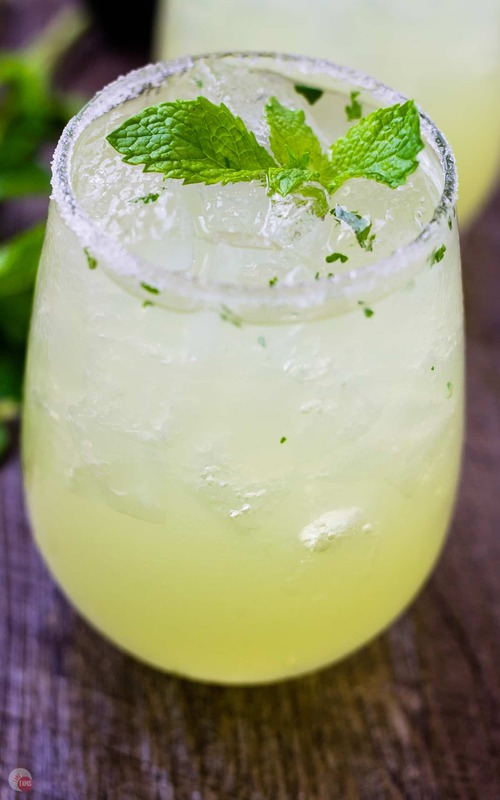 In racking my brain to find a “catchy” name because let’s face it tequila limoncello lime mint mash doesn’t quite roll off the tongue, I thought about what is fun about Mexican restaurants. Besides the food, of course, the music is always so cheerful and fun. Having eaten at quite a few Mexican restaurants because I am kind of an addict, one of my favorite ones had this amazing Mariachi band that played on Friday and Saturday nights. Not only could you eat your weight in chips and salsa but you could drink margaritas, spend time with friends, and dance if you were so inclined. I will say that my dancing vastly improved after a few margaritas as it does for most, and thankfully there is no video evidence of it! Back to the cocktail. Last week I made my Penitent Punch, a delightful wine version of a Long Island Iced Tea, but it does challenge your liquor cabinet with all its spirits. A 180 degree turn from the 3 Ingredient Cocktails I made this past summer, but it did get me thinking about what other spirit combinations I could come up with. Tequila is on special this week at the grocery store which I am thankful for because we were almost out. As I restocked the bar cabinet I had to move some bottles around to make room for them. Our bar cabinet is really a wardrobe cabinet with shelves and a hanging bar for clothes so the taller bottles tend to get hung up on it. The bottle of limoncello is one such bottle. As I pulled it out of the cabinet it clinked against the tequila bottle which gave me an idea. I mixed the limoncello with the tequila and took a sip. Good, but the limoncello is quite strong, so I added a little fresh lime juice to temper it a bit. A great combination now, just a little too strong still, but nothing a little club soda can’t fix. No club soda, just add some Lemon-Lime soda or sparkling water, which is always my “go-to” mixer for cocktails. Now for a garnish! 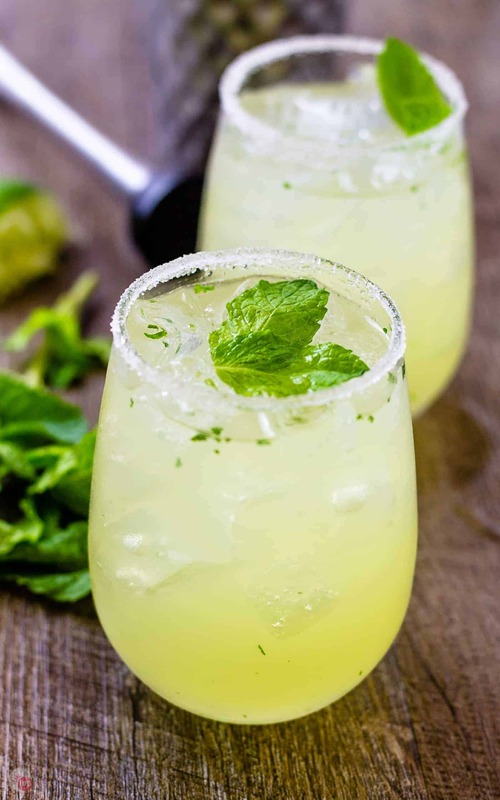 Mint is just what this calls for, but not only for a pretty garnish, but a hint of the mint flavor is great with the lemon and lime so I muddle some in the cocktail shaker before I add the spirits and juice. This post may contain affiliate links. That means if you click on the link or purchase any items through the link I may receive a small commission at no extra cost to you. These small commissions help fund this blog so I can bring you delicious party foods and cocktails! See my full Disclosure Policy here. I quick shake and a strain over some ice and you are good to go! 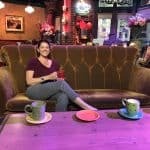 You can even practice your dancing skills while playing some mariachi music and shaking up a few Mariachi Mash Cocktails for you and your friends! 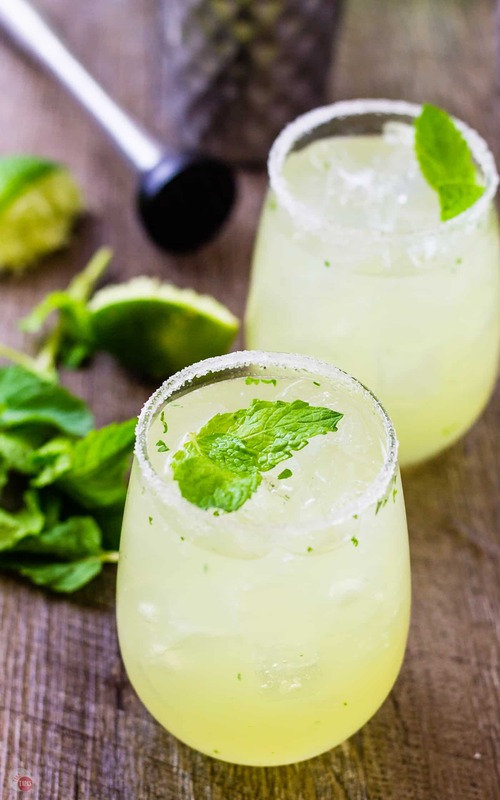 My Mariachi Mash Cocktail is the perfect way to spend your weekend with friends, and enjoy the taste of tequila and limoncello! Tequila pairs perfectly with lime but have you ever tried lemon? 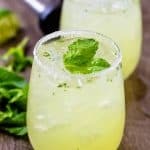 My Mariachi Mash Cocktail is a delightful blend of tequila and limoncello topped off with a hint of mint! In a cocktail shaker, muddle 6 of the mint leaves. Add in some ice, limoncello, tequila, honey, and lime juice. Shake to mix the spirits. Rub the rims of two glasses with one of the squeezed limes and dip in the sugar. Strain into the two sugar-rimmed glasses filled with ice. Top with club soda and give a little stir. I have heard AMAZING things about this recipe, so I had to try for myself — IT TRUE!! They are incredible cocktails! Im decorating my tree today and have a batch of these ready! Im lucky, Ive had them made my you my friend! Seriously my FAVORITE cocktail right now! LOVE LOVE LOVE it! This looks so perfect for a celebratory night! I’ll tell my colleagues about this. Thanks for sharing this recipe 🙂 I bet they will like it! Cheers! I have a brand spanking new bottle of limoncello direct from Italy and a new bottle of tequila! I cant wait to have it… it sounds like the perfect summer time drink! This is right up my alley!! 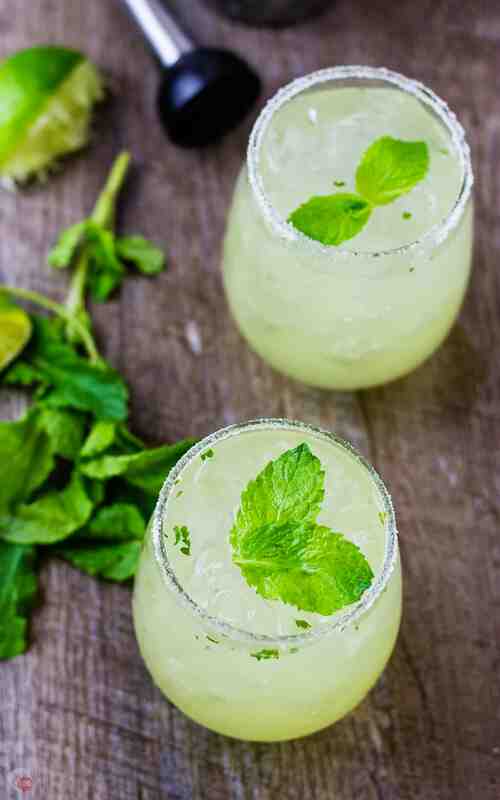 Lemon is one of my most favorite flavors, and there is just something about mint in summery cocktails. This is going to be my new favorite poolside sipper, I can already tell! Awww, this is a perfect poolside sipper with the mariachi music blaring of course! My son gave me limoncello from the Italian restaurant he works at and I’ve paired it with vodka, but not tequila! Salud, my friend! I’m breaking out the cocktails! Loving the name of this libation and your combination of Limoncello with tequila! Bottoms. Up. This is a great cocktail to start the weekend off, cheers!! !